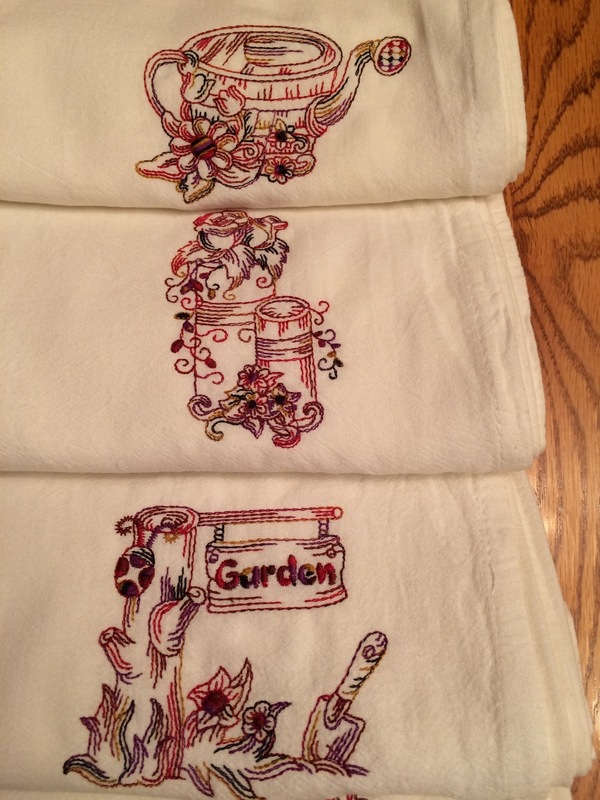 Size per towel - 28" x 32"
Designs are placed in the lower right hand corner of the towels. 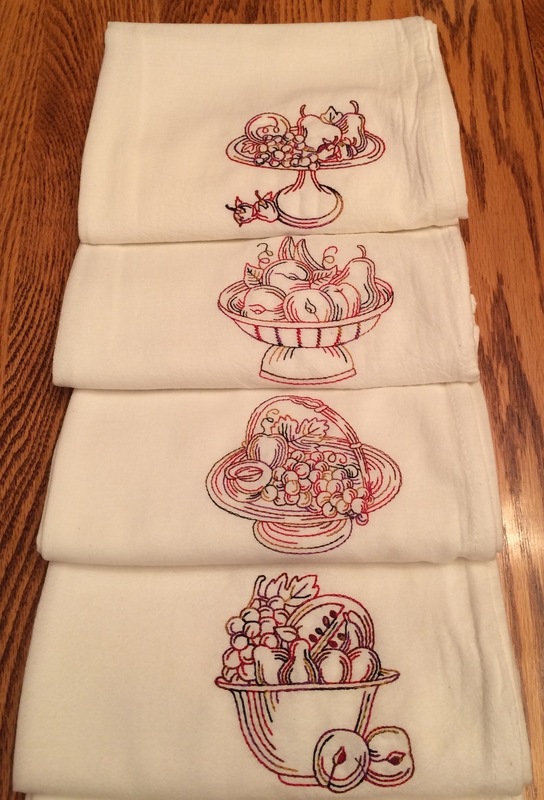 Fruit Bowls Flour Sack Towels (Designs by Designs Sew Fine) "SOLD"
Can make more of these! Just let me know by calling or email.